The MPIDR welcomes the new cohort of the MaxNetAging Research School. Since February 1, 2016, 12 participants from six countries have been staying at the Institute for six months. The MaxNetAging Research School (MNARS) is a stipend program launched by the MaxNetAging Network. The stipend program provides funding for doctoral and postdoctoral students from various academic backgrounds. This year's cohort includes researchers from various disciplines such as psychology, human development, neurosciences, social anthropology, demography, public health and policy studies. All of them will devote their research to the multi-faceted topic of aging. At the beginning of the first year, the PhD students and postdocs spend an initial period of six months at the MPIDR. During this time, the fellows are provided with basic instruction to extend their specialization towards a broader perspective on aging research. 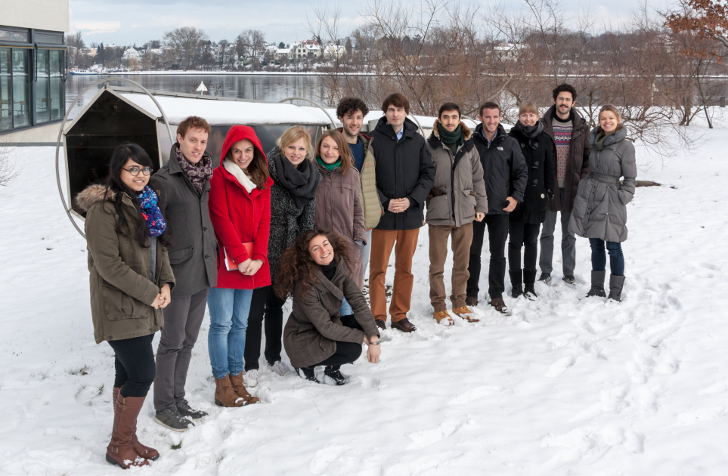 Following the initial period, the PhD students and postdocs continue their education and research projects at the Max Planck Institute they are affiliated with. Since February 2, 2015 the 12 participants from six countries have been staying at the Institute for six months. The stipend program provides funding for doctoral and postdoctoral students. The young researchers come from various academic backgrounds. This year´s cohort includes neuroscientists, evolutionary biologists, demographers, biodemographers, psychologists, anthropologists, molecular geneticist and economists. All of them will devote their research to the multi-faceted topic of aging. The next MaxNetAging Annual Meeting will take place in Leipzig from 16-19.02.2015 and will revolve around the topic of “Male-Female Differences in Aging”. 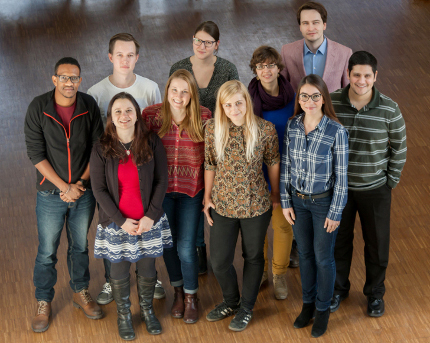 The Max Planck International Research Network on Aging has started a new series of events where young scientists have the opportunity to meet experts from various disciplines. The series is held with financial support from the Ernst Schering Foundation. The Foundation’s core activities include the promotion of young researchers and of interdisciplinary projects. In "Meet the Expert", as the series is called, an experienced scientist is invited at each meeting to give a talk, proceeded by a discussion. There follows an informal setting where young scientists have the opportunity to meet the expert and talk with him or her about issues such as the next career steps, career prospects after PhD completion and Post-Doc employment, and stays abroad. Organized under the auspices of the Max Planck Society, the Max Planck International Research Network on Aging (MaxNetAging) provides a platform for international cooperation endeavors between 20 Max Planck institutes, a Max Planck Research Group, and outstanding scholars from other institutes. The declared aim of the network, interdisciplinary in nature, is to research into the causes, patterns, processes, and consequences of aging. The interdisciplinary network gathers scientists from various different disciplines, ranging from cognitive science, neuroscience, biology, mathematics, economics and demography to art history, human development, and sociology. At the heart of MaxNetAging is a Research School, consisting of a doctoral and postdoctoral stipend program. Two central tasks of the Max Planck International Research Network on Aging and specifically the Max Planck Planck International Research School are to stimulate interdisciplinary networking and exchange and to provide participants with cross-disciplinary skills and knowledge. "'Meet the Expert' helps us to accomplish these two tasks," says André Schmandke, Deputy Director of MaxNetAging.